Commercial trucks are a necessity in our economy, but unfortunately they can be hazardous on our roads if proper precaution isn’t taken. 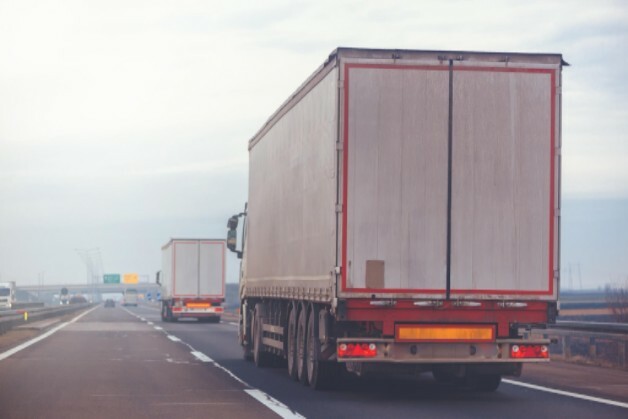 Below are important safety tips, curated by the Federal Motor Carrier Safety Administration, to keep you as safe as possible when you’re near one of these vehicles. Watch out for blind spots. Trucks have extra large blind spots and you don’t want to be stuck in one for long if you can help it. When switching lanes in front of a truck, be sure that the truck is clearly visible in your rear view mirror. Also, when passing, clearly signal to them so that they see you. Don’t cut or follow closely. Trucks can take up to 40% longer to stop than a regular vehicle. Therefore, cutting in front of them too closely is dangerous. Getting rear-ended by a commercial truck can be a deadly or seriously devastating accident. Also, these trucks sit higher off the road than the average car. Following too closely can cause an accident. Watch for rollback potential on hills. Don’t stop too closely behind a truck, especially on a hill. Rollback potential can be unavoidable for these trucks. Anticipate wide turns. Semi trucks require extra space to make turns. Be observant when you see a commercial vehicle and leave plenty of space at intersections for them to make a sharp turn. Be patient. As the saying goes, it is what it is. Trucks will probably always be on our roads so patience with them will go a long way. Focus. Don’t be distracted, especially when a semi truck is present. Pay attention to your surroundings at all times and use precaution when coming into contact with these massive vehicles. Buckle up. Always buckle up. It may save your life one day. You can do your part to help make our roads safer by practicing these vital tips!